"How do I get rid of my split ends"
Well ladies, many of you will not like the answer to this question, but that's how life is sometimes. Sometimes the truth hurts! But, the only way to get rid of split ends is to cut them! There is NO product out there that will "fix" your split ends. Even the wonderful products of by L. Jones can't fix your split ends. The only way to fix them is to cut them where they start. When you do this, you are prohibiting them from continuing to split up the hair shaft. If you hate getting your ends cut and continue to prolong it, what happens is that the hair continues to split up the hair shaft. So, when you finally make the decision to cut them don't be surprised if you have to get more cut than you want. If instead you get them cut on a regular basis of every 2-3 months, then you will notice that you will have to get much less cut. 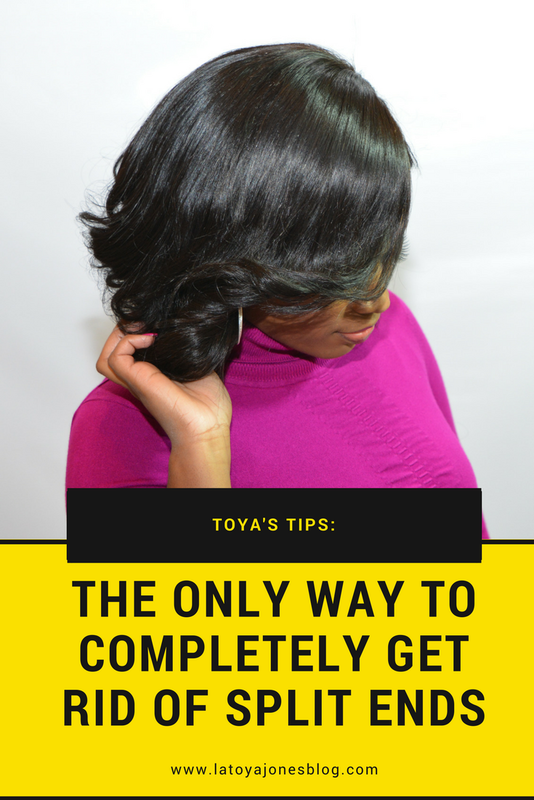 If you wrap your hair nightly or put a satin bonnet on, this makes you not have to get them cut as often. So, don't be afraid to cut, cut, cut those ends! Your hair will be much healthier without split ends attached.